Soccer: Cork Hibernians v Shelbourne, F.A.I. 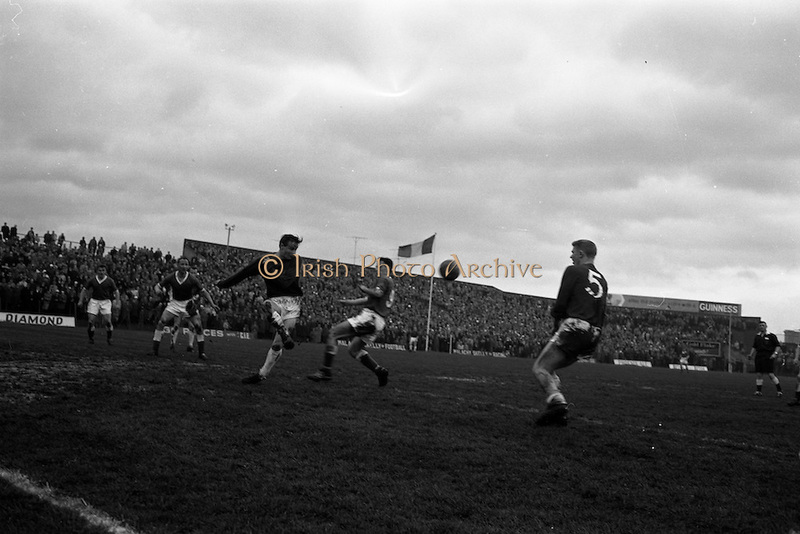 Cup Semi-final at Dalymount Park, Dublin. Tony Corrigan of shells clears his lines under pressure from Johnny Kingston of Hibs. centre forward.